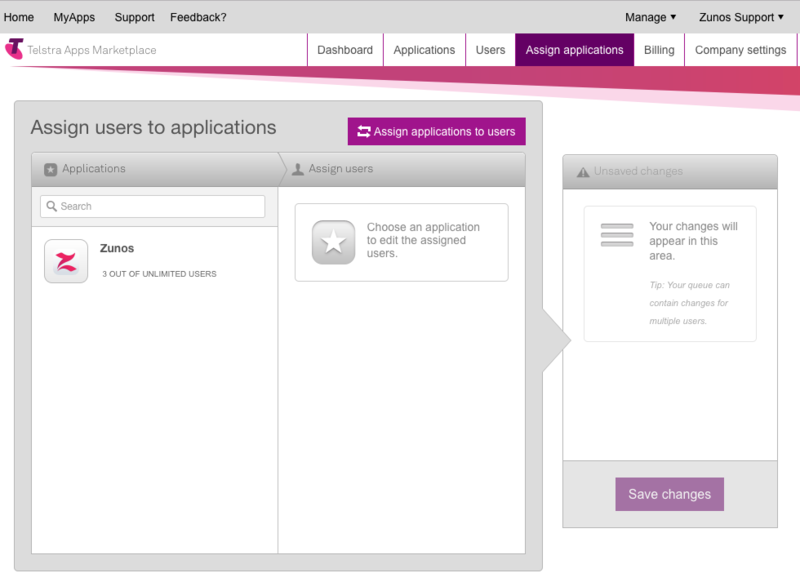 Assigning users as admins in the Telstra Apps Marketplace should be done in the following steps provided below. Care should be taken when configuring users in Telstra Apps Marketplace to prevent doubling-up users or removing users accidentally from an account. First, log in to the Telstra Apps Marketplace account using the details provided by your Telstra account manager and follow the steps below. 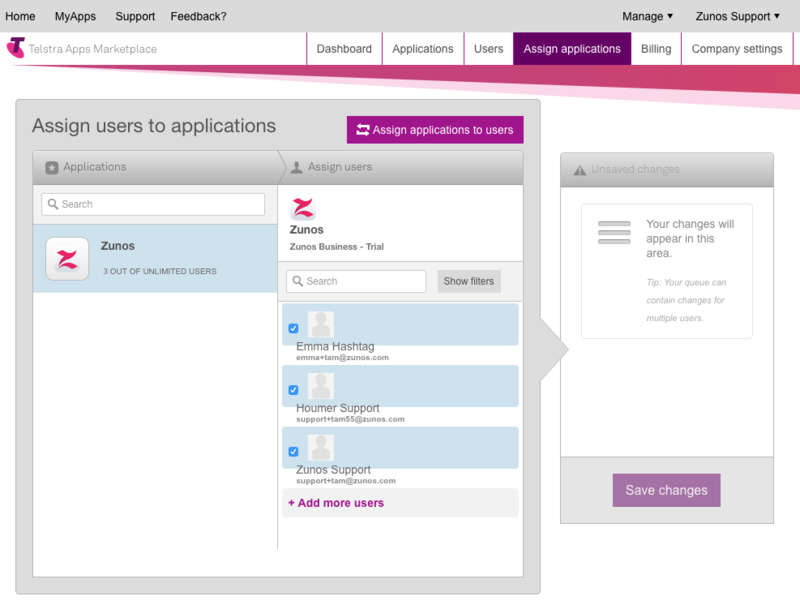 If you have an existing user you wish to assign an admin, please contact Zunos Support and we can enable this for you. Note: If you are an Admin within Zunos then you have the ability to also log in as an end-user and view content and interact with the Zunos WebApp or iOS app. You do not need to create an additional user account to view user content. Click on the Manage Tab at the top right-hand side of the marketplace menu bar. A drop down menu will appear; click on the Account option from the list. 6. To finalize the process click Save Changes. 7. You should be taken to a follow-up screen with a checkbox to select 'Application Administrator' please enable this. If this does not appear then please contact Zunos Support. Note: Please exercise caution when checking and un-checking users in the TAM Admin portal, since this will by default remove the users from the account as opposed to deactivating them. Re-checking a user will now resurrect a user. 8. The user/s will now receive an email notifying them that the application has been assigned. 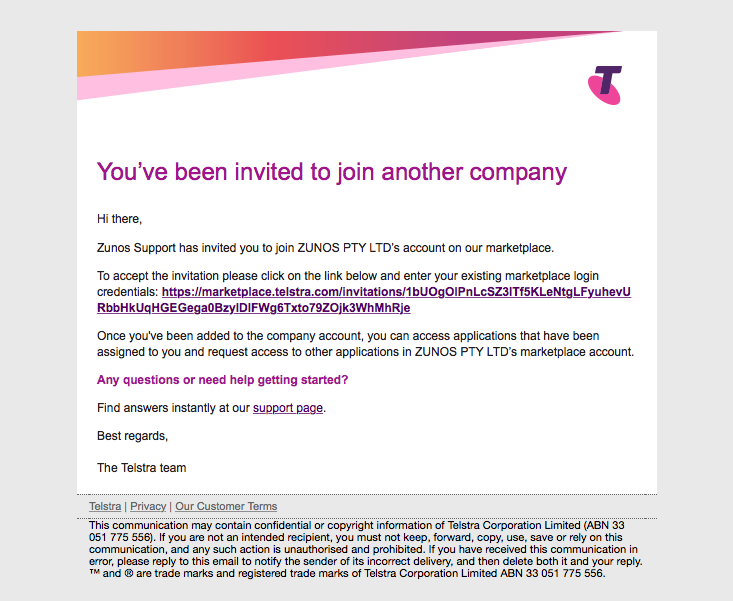 At this stage, Telstra Apps Marketplace will also allow users to complete their user details, including first and surname. Please ensure users complete their details before proceeding otherwise their details will appear blank in Zunos. 9. 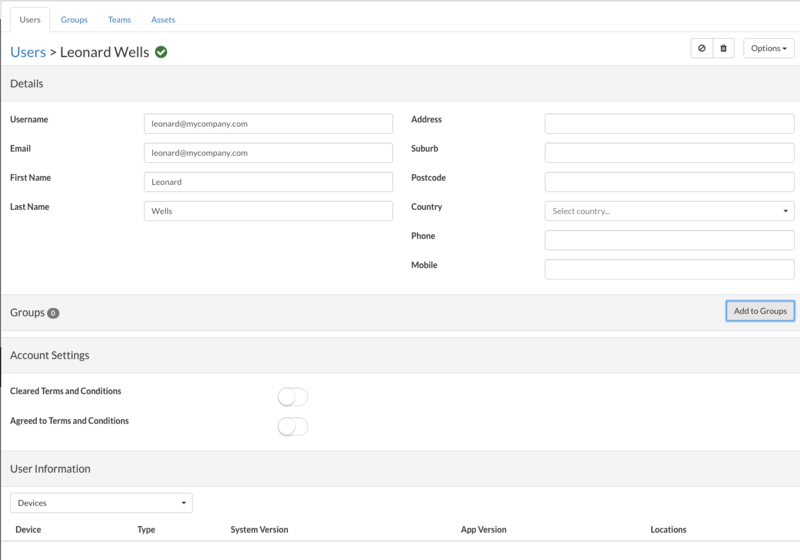 To check if your users have completed their user details, simply log in to the Zunos admin portal and look under the users section. 10. Users then will be able to access the application through the My Apps tab on their toolbar.